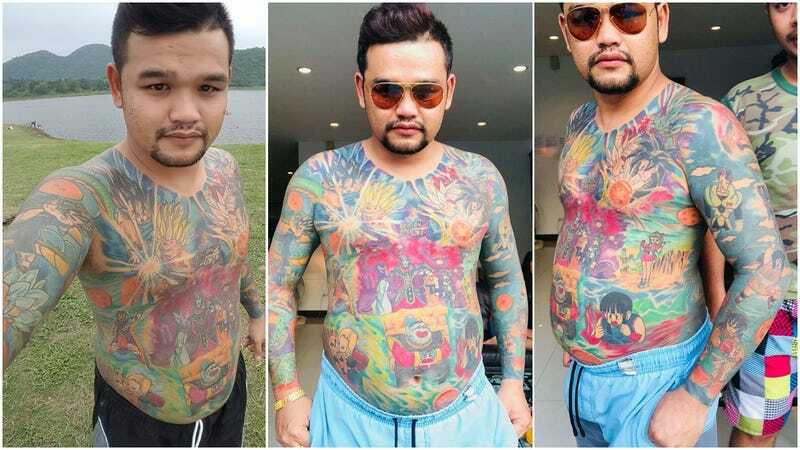 A resident of Nakhon Pathom Province in Thailand is sporting a whole bunch of Dragon Ball tattoos. According to Thai Ch, the man’s name is Owan Kranseen, and he’s spent months getting this work done. These images are from his Facebook account. Seems he has a friend with similar interests!